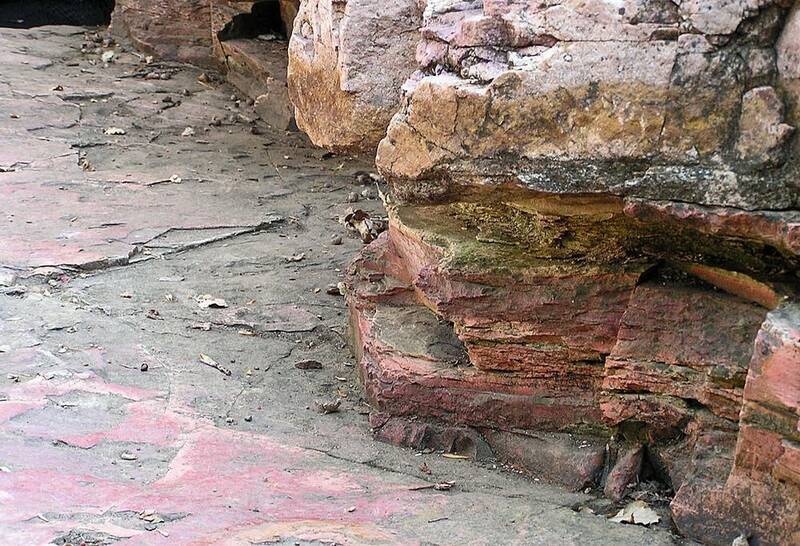 In the southwest corner of Minnesota, thousands of visitors each year take in the Pipestone National Monument's untouched prairie and its famous red rock. The Pipestone National Monument is a compact park, about 300 acres, loaded with history. Bordering the city of Pipestone, it's mostly open prairie that looks much like it did before European settlers arrived. For centuries, Native Americans have placed great religious significance on the pipestone found here. They've quarried and carved the stone into pipes and other objects, and the practice continues today. Scattered across the park's grassland are its famous pipestone quarries -- more than 50 of them. Travis Erickson, who was born and raised in Pipestone, works in one of them. "I've been carving pipes for about 30 years, hand-quarrying the stone for 35 years," he said. 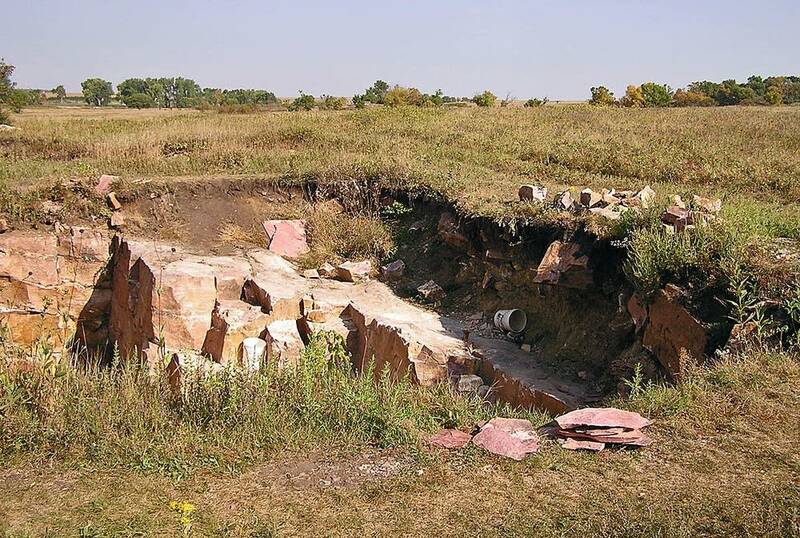 Erickson's quarry is one of the largest at the Pipestone National Monument, 17 feet deep and more than 50 feet wide. Other nearby quarries are much smaller, some just a few feet across. Only American Indians can quarry here, and they need to apply for a permit to do so. Erickson is a member of the Sisseton-Wahpeton tribe, and his annual permit allows him to mine as much pipestone as he wants. But it's slow, hard work. Crouching at the bottom of the quarry, Erickson points to a layer of pinkish red rock. "This is what I'm after. Pipestone rock, in this section where we're at, runs between 14 to 16 inches thick," said Erickson. The red stone is trapped underneath a rock known as quartzite. 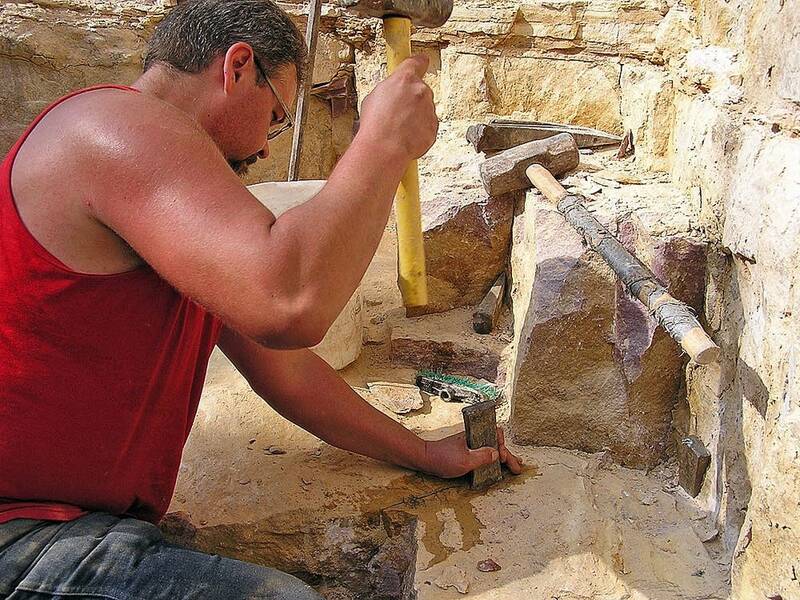 As his ancestors did for centuries before him, Erickson works to remove that quartzite. 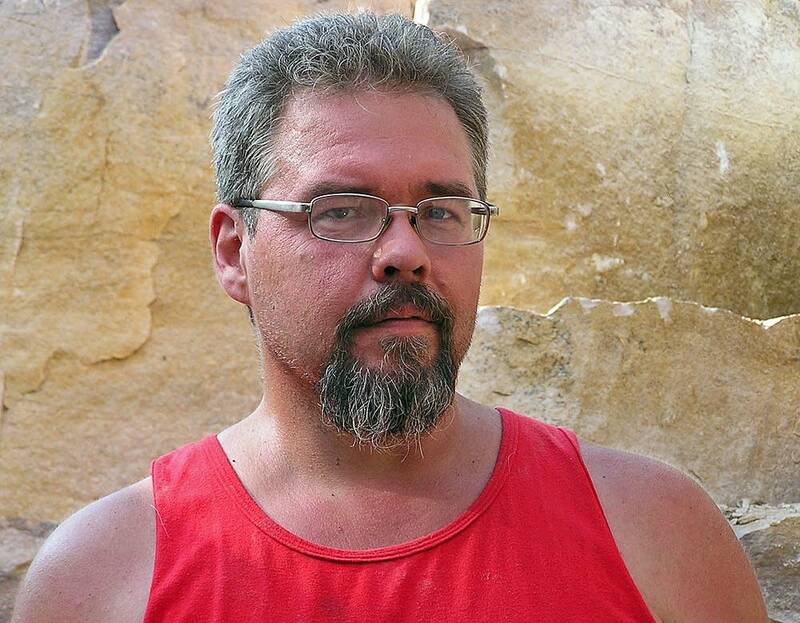 He sweeps stone fragments and dirt off the rock until he locates a crack in the quartzite. In ancient times, Indians might simply have dropped large rocks on this sort of fissure, hoping to crack it open. Erickson has better tools. He hammers a steel wedge into the opening, but the stone refuses to budge. Erickson keeps at it, breaking loose quartzite until he can free the slab of pipestone. It looks like simple physical work, but Erickson says there's a spiritual component as well. "It's very spiritual. 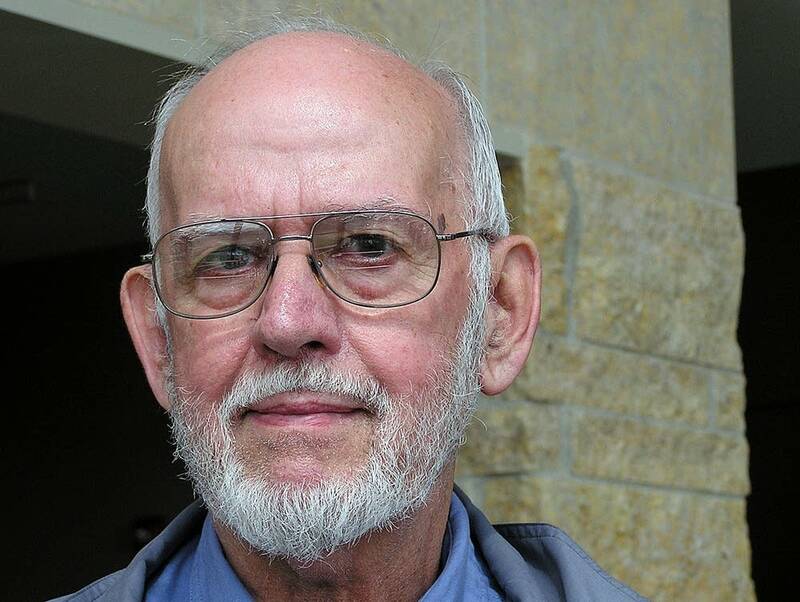 Your own personal connection to the earth mother, to the quartzite, to the pipestone rock," said Erickson. "The benefit of it all is you get a sense of oneness with everything here." 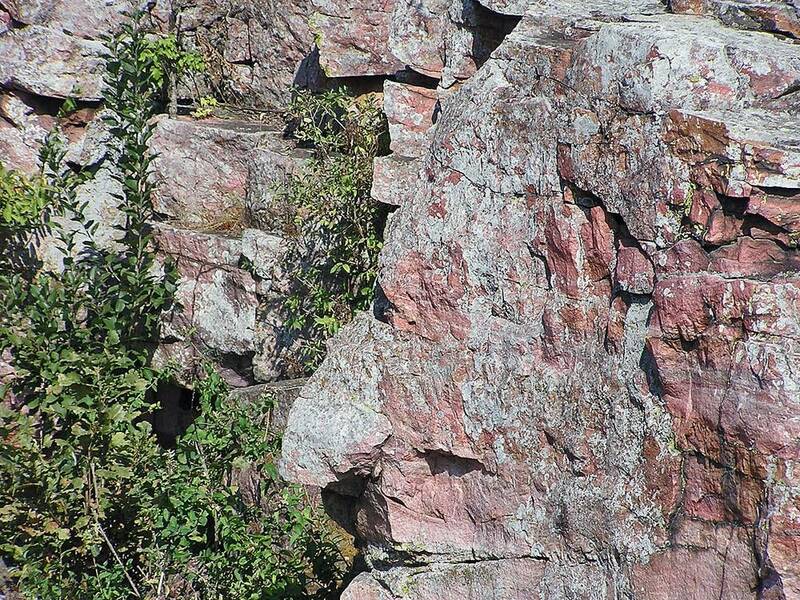 That sense of Indian spirituality is at the heart of the Pipestone National Monument. 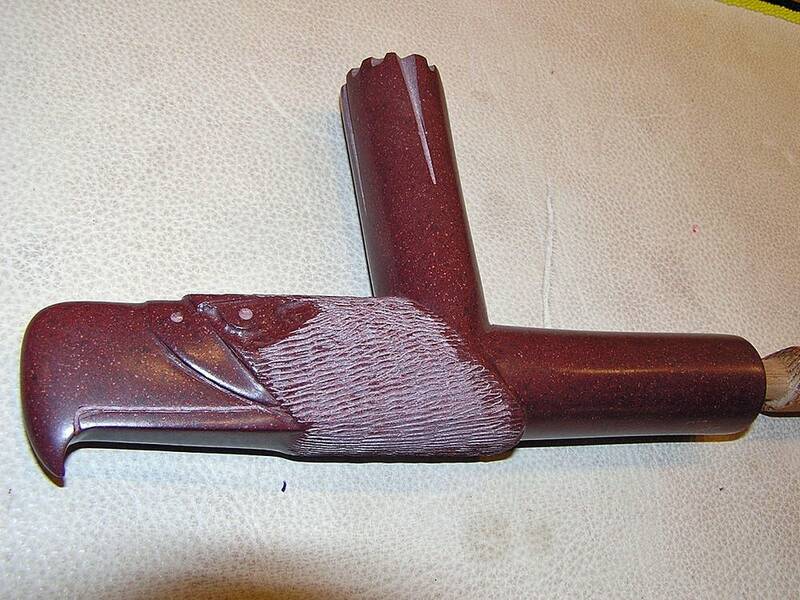 Native Americans believe the red pipestone is the blood of their ancestors. Pipes carved from the rock are used in religious ceremonies, and the smoke carries prayers up to the Great Spirit. Herbert Hoover, a history professor emeritus at the University of South Dakota, says it was the Sioux Indians of the upper Midwest who consecrated the location. "I think that it's easy to reason, and I've heard many medicine men say this -- that that is the most important sacred site in historic Sioux country," said Hoover. Hoover has a direct link to Indian spirituality -- his father was a member of the Ioway tribe. Hoover has visited Pipestone many times, but he says the most important trip was in the early 1970s. At that time, there was a resurgence in American Indian spirituality taking place. Federal suppression of Indian religious practices was loosening. Native Americans were revisiting their traditional ways. It was in this climate of change that Hoover drove to Pipestone in 1971 with several Indian spiritual leaders. Hoover recalls the group had a specific goal as they approached the historic location. "It was, in fact, to build a sweat lodge," said Hoover, "and to reconstruct what had happened, early in the century. Before they mined the sacred stone, they would have to build a sweat lodge and pray before they mined it. But that had all fizzled out and stopped." Hoover says reconnecting the act of quarrying with spiritual rituals was an important step, something that continues today at the monument. He says Pipestone offers to Indians what people of other faiths feel when they visit an important religious monument. "When we went to Pipestone, that was like going to Calvary," said Hoover. "It was like going back to where Jesus came from, because this is the sacred pipe, the channel that we have to God." Sitting in a booth at the Pipestone National Monument's visitors center, Travis Erickson is carving a pipe bowl out of a piece of red rock he's quarried. "I carve the eagle head pipes, I carve a man wrapped in a bear hide. You can see part of the man's face underneath the bear's nose there," said Erickson. "I carve a lot of different things because I enjoy that." Besides the spiritual, there's also a commercial side to pipestone. Erickson and other quarriers often sell the pipes and other items they make to the public. This business side of quarrying has caused divisions, because some Indians believe selling pipestone is wrong. Erickson says it's traditional. He says researchers have found centuries-old items made from Minnesota pipestone all over the continent. "Pipestone rock from this area, as far as we know, was traded throughout the United States, Canada and even down into Mexico," said Erickson. But some traditional Indian spiritual leaders oppose selling the stone. Arvol Looking Horse is one of them. He lives on the Cheyenne River Reservation in South Dakota, where he's the keeper of his people's sacred pipe. Looking Horse says the pipestone found in other parts of the U.S. was given, not sold, to those tribes. He says selling pipestone corrupts traditional Indian spirituality. "Somebody who makes a pipe and sells it for money is doing more damage than good," said Looking Horse. "Once money is on your mind, the spirit doesn't come back to help that person." 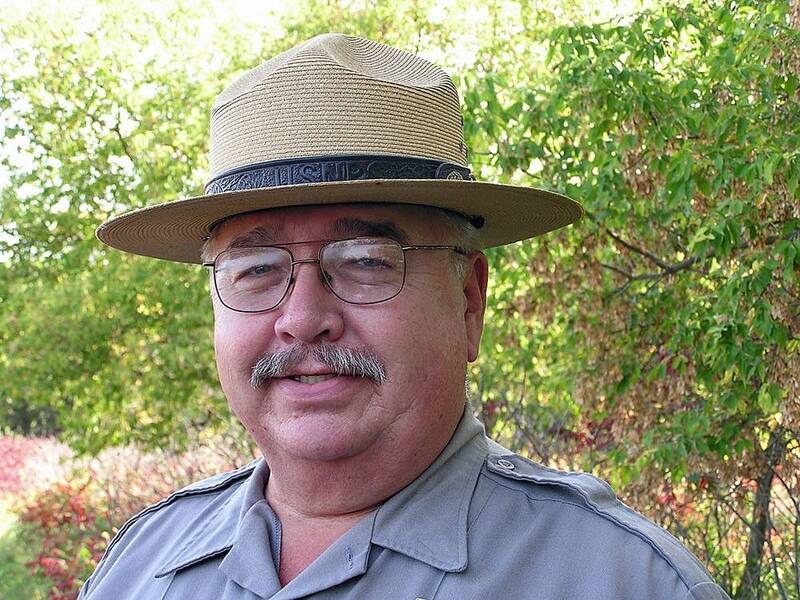 The National Park Service has refused to wade into the issue. It says the quarries are open to all U.S. tribes, each of which follow their own beliefs on the issue of selling pipestone. Glen Livermont, the monument's current superintendent, says more Native Americans than ever are applying for a quarrying permit. "Right now there's 100-plus names on the waiting list for that permit," said Livermont. "And that alone means someone may have the wait of 10-plus years." Livermont says besides quarrying, Indians use the park land for other traditional practices, including religious ceremonies. Each year at Pipestone there are at least two Sundance ceremonies, one of the year's most important spiritual events for traditional indians. Sweat lodge ceremonies are held, as well as fasting observances. The general public also makes good use of the park. On a late summer day, several groups of grade school students are at the monument. The school kids walk down a path bursting with history. 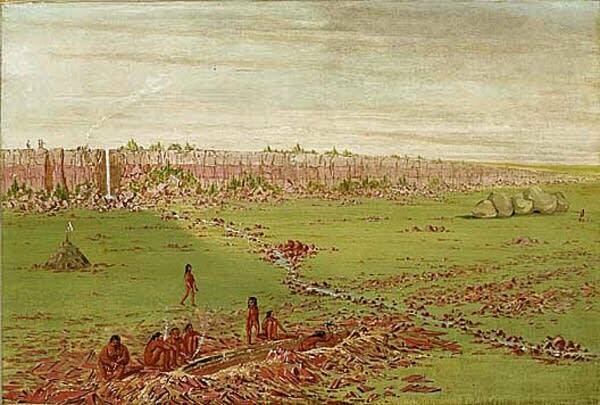 They pause where artist George Catlin stood in 1836, when he first sketched the quarries and popularized them in the western world. They pass through a natural prairie area, brightly colored with more than 100 species of plants. And then they walk past a rock formation known as The Oracle. The stones form a face. Legend says if you're very quiet The Oracle will speak to you -- about life and about the history of this piece of earth.